Sonic the Hedgehog has had a decent amount of success sticking with 2D gameplay. 3D gameplay? Not so much. Many people proclaim that the best days of Sonic the Hedgehog are behind him. If Sonic Colors and Sonic Generations are any indication, these people are dead wrong. One of the worst games I have had the displeasure of playing, 2006's Sonic the Hedgehog reboot was a festering pile of feces featuring broken gameplay, glitch-filled levels, annoying and unwieldy mach speed sections, and the introduction of the obnoxious Silver the Hedgehog. After about the fiftieth time falling through the floor of one of the game's zones, I had to call it quits. True story, but I actually know someone who got all 1,000 achievement points in this game. Now that's dedication and torture all at the same time. The only decent quality about this game is the sensational score that accompanies the awful game. Sonic and a sword, what could possibly go wrong? In this Storybook Series game for Wii, players wielded a talking sword as they hacked and slashed their way through castles, keeps, and caverns. Several of Sonic's friends served as characters in the King Arthur-themed story. While the game is not terrible per se, it is quite uninspired. There are much better Wii games to play besides Sonic and the Black Knight. Much better. 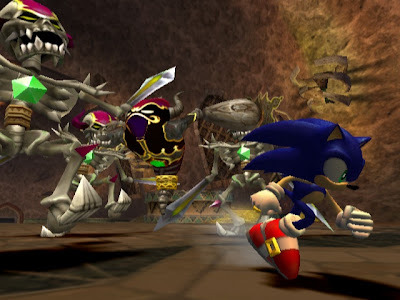 The first of two Storybook Series Sonic games, Sonic and the Secret Rings tells an Arabian tale where the blue blur meets up with a genie. Any game where you have to purchase and equip skills for the game to actually play better is fundamentally flawed. Add in the inability to properly backtrack, and you have a recipe for disaster. Tilting the Wii remote to dash left and right was pretty intuitive at the time, but it comes off as merely a gimmick. I'd prefer traditional controls any day of the week. And don't even get me started on the sappy story and awful dub. 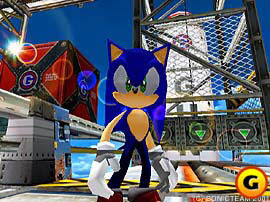 Sonic's first foray into 3D was with Sonic Adventure. Who doesn't remember their first time cruising along Emerald Coast, hopping inside a tornado in Windy Valley, and leaping into a blistery volcano in Red Mountain? 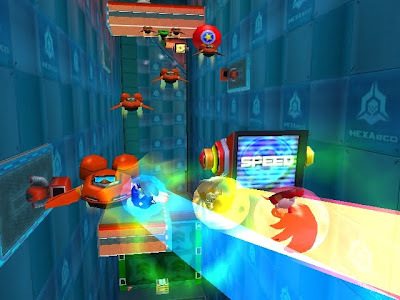 The game featured hubs like Station Square which tied all of the zones together. There were six characters to choose from: Sonic, Tails, Knuckles, Amy, E-102, and Big the Cat. Each character had their own set objective in each zone. For Amy she had to escape a pursuing robot. For Sonic all he had to accomplish was reaching the goal. Half of the characters you were forced to play as were pretty lackluster. However, Sonic's levels were the true highlight of the title. 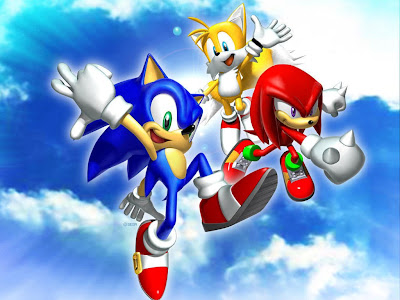 Sonic Heroes was a game where four teams of three: Sonic, Tails, and Knuckles, Shadow, Rouge, and Omega, Amy, Cream, and Big, and Vector, Charmy, and Espio traversed through multiple themed zones. 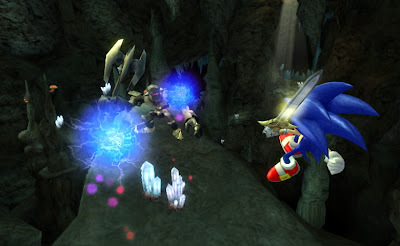 The game had numerous paths to explore, bosses to beat down, and Chaos Emeralds to collect. Some might find playing through the same zones with different characters with only minimal changes to the level design boring after a while, and I tend to agree. Regardless, I find the colorful zones of Sonic Heroes to be enjoyable to play for the most part. Sonic Unleashed was a game divided up between two parts: day stages and night stages. 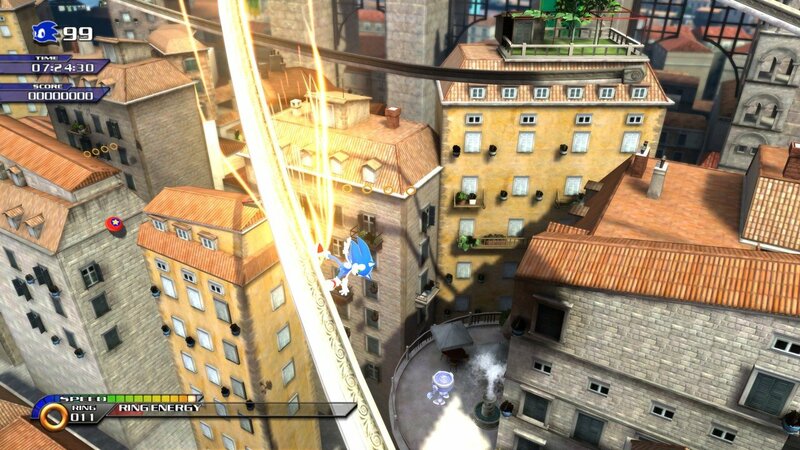 During the day it was normal Sonic rushing through levels at supersonic speeds. During the night Sonic transformed into a Werehog where slow, methodical platforming and climbing were the calls for action. The sluggish pace of these night sections and the time it took to complete them seemed merely like padding for the game. They were tedious to slog through, and they were frustrating especially when the camera did not cooperate with the player. The day sections, however, were a blast. Sure, there was some trial and error to be found, but for the most part, these levels were a step in the right direction for Modern Sonic. Six characters to play as, two stories to dive in to, and one rockin' theme song in Live and Learn made up the majority of players' time in Sonic Adventure 2. 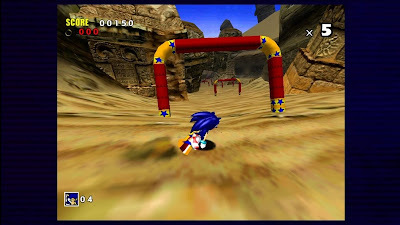 Whether players were speeding through zones as Sonic or Shadow, destroying robots from the comfort of a machine with Tails or Eggman, or treasure hunting as Knuckles or Rouge, the gameplay variety in this game was immense. I really enjoyed the time I spent with Sonic Adventure 2, and while not the perfect game (far from it), it was challenging, entertaining, and rewarding all at the same time. Some levels were better than others, but you take the good with the bad. And who doesn't love the collectible aspect of the Chao Garden? I loved raising Chao, putting them to compete in races, and winning enough emblems to unlock the 3D recreation of the Green Hill Zone. Mixing the worlds of Classic Sonic with Modern Sonic, Sonic Generations is essentially a love letter to fans both jaded and those who have stuck with Sonic through thick and thin. Classic Sonic gameplay consisted of strict 2D levels with an occasional 2 1/2D camera angle. Modern Sonic was all about 3D levels with the occasional 2D section thrown in for good measure. 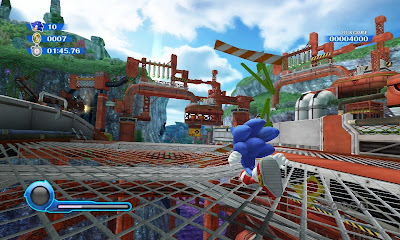 While Classic Sonic can spin dash, Modern Sonic can wall jump, slide, homing attack, light dash, and drift. There were nine zones in total with two acts apiece: three Genesis era, three Dreamcast era, and three Modern era. My only gripe with the game is that it forces the player to complete a certain amount of challenges like beating a level with only one ring or racing against someone in order to advance the story. 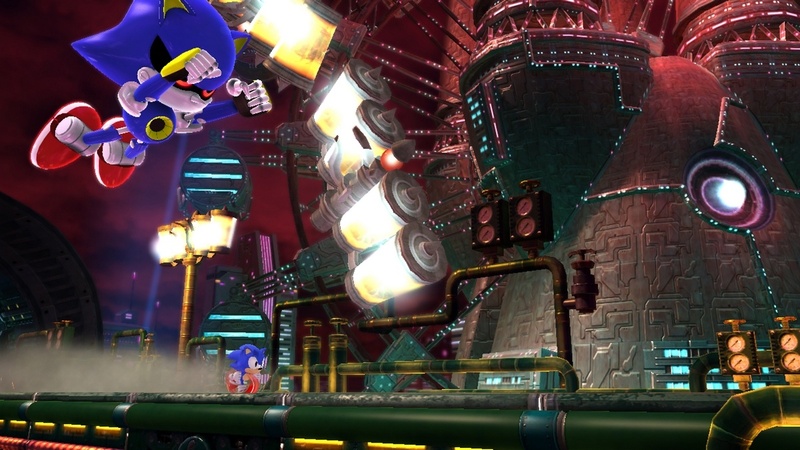 Sonic Colors greatly surprised and impressed me simultaneously. The game was mostly 2D with a sprinkle of 3D sections. The introduction of alien creatures known as wisps brought new gameplay styles to the azure hedgehog's world. 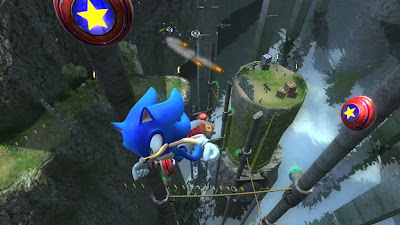 Some allowed him to drill underground, some granted him the ability to scale walls and ceilings, while others acted like a rocket, sending Sonic high up into the air. The game immediately thrust players into the action with no exposition whatsoever, a nod to early days. Each zone from Tropical Resort to Asteroid Coaster was filled with secrets to discover, red rings to collect, and bosses to battle. Zones were made up of six acts each. I believe that Sonic Colors is the closest Sonic Team has gotten to the Genesis days when Sonic was at his best. Well, that's my order. What about you? How would you rank Sonic the Hedgehog's adventures in 3D? Let the SuperPhillip Central community know in the comments section. You only missed Shadow the Hedgehog. I'd put that before 06, after Adventure.